Background/Info: Belgian Metroland ‘passengers’ are back on track unleashing a new and exclusive EP, which is taken from their latest album “Men In A Frame”. “Reframed” also announces ‘the second ‘Pictures To Listen Too-exposition’ which will take place in Mechelen (Belgium) from January till March 2019. Content: Three songs from the last album have been revisited. From a very surprising and rather experimental remix of “Shades Of Pale” to the totally space-like “Concrete Witness” to the dream “Creative Rose” this EP is quite diversified, but still totally retro-like. + + + : Metroland has probably accomplished one of its most vintage- and analogue-like works to date. It still probably is one of their most experimental exposures to date and I here especially like the ‘innovative’ element. 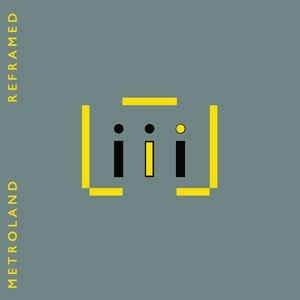 Metroland holds on to their successful sound formula, but they always try to push the boundaries of creativity a bit further. That’s a spirit I like. – – – : The only minus point about this EP is that there are no real potential hits featured on it. Conclusion: This EP is one for the heaviest fans of the band, but not exactly the right production to hear Metroland at its best. Best songs: “Concrete Witness – Analogue Audio Association Remix 1”.